The Sims and Spore creator Will Wright has dropped a few hints about what he's been up to at Stupid Fun Club, the company he founded after leaving Electronic Arts earlier this year. 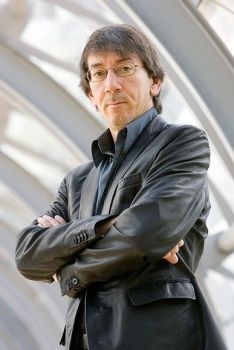 Will Wright has been awfully quiet about his post-EA plans, saying only that he wanted to branch out into "a variety of platforms," including movies, television, the internet and toys. We still have no idea what he has in mind but he recently tossed a few hints to the L.A. Times, nothing particularly informative but enough to keep people guessing until the project debuts at the New York Toy Fair in February. First and foremost, it will be a toy. In fact, Wright will be delivering an address called "The Evolution of Entertainment: A Toy's Place" at the Engage! Expo, running concurrently with the Toy Fair. It will also involve games, which given Wright's 25-year career in the industry should come as no surprise to anyone. It will be connected to the internet and it will have robotic components "to some degree," he said. "All of our products have crossover elements. Even calling it a toy makes it too specific," he added. Finally, it will "rely on crowdsourcing." The report suggested it could be similar to The Sims in that regard, with its "hundreds of thousands of fan-created YouTube videos," while Wright cited the example of 20Q, a toy that functions through a database of questions and answers "generated by millions of visitors to a website of the same name." In an interview with VentureBeat, Wright said there are three projects currently in the works at Stupid Fun Club, one of which is toy related while the others are not. "We are looking at a lot of different industries," he said. "There's the web. Toys. We're not restricted to one type of entertainment. We're kind of looking for ideas that cross a lot of different boundaries." It's not exactly a wealth of information to work with there but, much as I hate to spoil the guessing-game fun for everyone, I've already got it figured out: Will Wright has invented Funzo. Way to go, Will!